Well now I think I'm in trouble!! 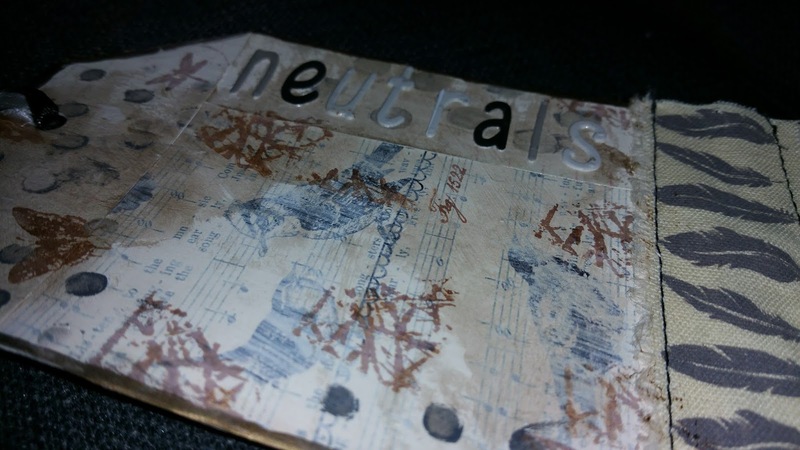 I seem to quite like these little pieces of art - have been missing them since I did the ICAD challenge. That was for 2 months and I completed the whole 100 cards in the packet well before that! The Tag it Tuesday challenge goes on and on - I better find a good use for tags! I have used the small bug stamps from Crafty Individuals, so will enter this in their Clean and Simple challenge as well as Simon Says Stamps Wednesday Challenge - Gift It. 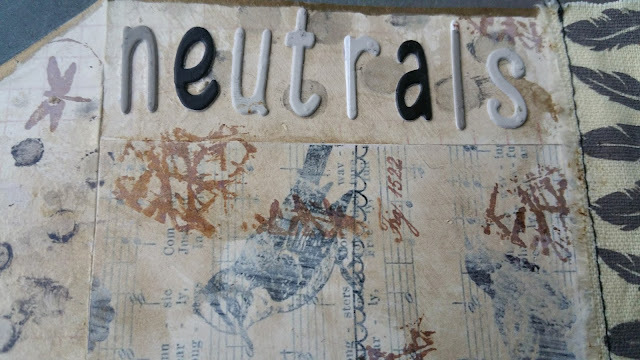 For this tag I focused on the neutrals, with paper in the background, antique white and gold acrylic, some stamping with squid ink Gelato, the word 'neutrals' die cut from paint swatches, a little sepia stamping, some fabric feather tape and gold Sharpie around the edge. The ribbons are from my stash cut off clothing. Super tag Raewyn. Lovely effect with the neutral colours and layers. Thank you for joining in the Crafty Individuals Challenge. A beautiful neutral colours tag Raewyn. The fabric addition is really lovely, and I love the theme. Thank you for playing along with us at Crafty Individuals challenge. hello! 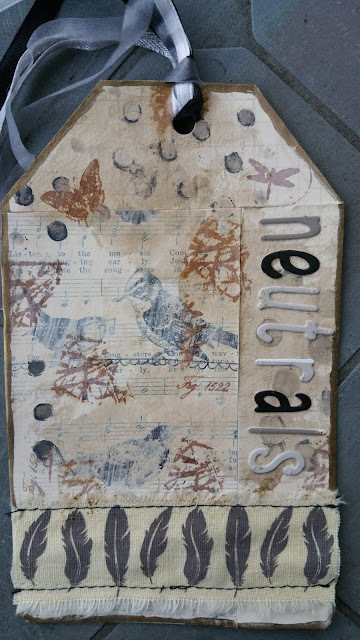 this is an awesome tag///luv the mixed media textures and design! I am so glad you played along with us at simon says stamp wednesday challenge!